The GL Voice Recorder is used to manually capture the voice/data over a 2-wire Analog interface. Using the 2-wire Phone Tap adaptor, one can non-intrusively ‘tap’ into the analog 2-wire line via the RJ11 interface and capture the bi-directional voice/data. 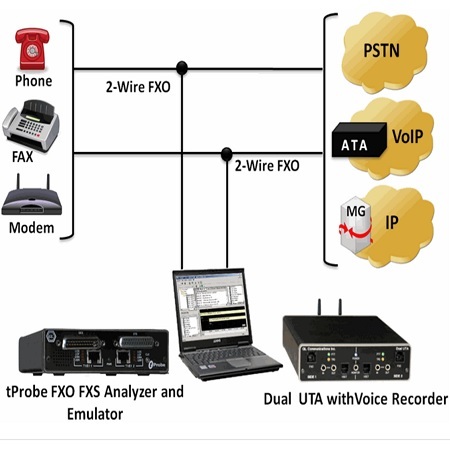 The recorded voice/data is automatically saved into a single PCM file.